New Mexico is the largest oil and natural gas producer in the Intermountain West (Arizona, Colorado, Idaho, Montana, New Mexico, Utah, and Wyoming), generating over $15 billion in oil and natural gas production value in 2007. The state captures value from oil and natural gas extraction mainly from production taxes and royalties. New Mexico’s effective tax rate was 13.4 percent in 2007, ranking behind only Wyoming in the region. In 2007, Oil and natural gas extraction generated 18 percent of all state and local government revenue. Oil and natural gas revenue is highly volatile and New Mexico manages this volatility by investing a significant portion (22% or $462 million in 2007) of its oil and natural gas revenue into two long-term investment funds: the severance tax permanent fund and the land grant permanent fund. Although hedging strategies are used, funding for basic government services like education remain highly exposed to oil and natural gas revenue volatility in the state. New Mexico’s revenue distribution scheme returns the lowest proportion of oil and? natural gas revenue—six percent—to local government in the Intermountain West. Local governments receive no production taxes or royalty payments, and instead rely on property and sales tax revenue from oil and natural gas activity. This small share of energy revenue may mean that municipal and county governments in New Mexico do not have the resources they need to deal with the impacts of extraction activities on local services such as roads, public safety, and social services. Hydraulic fracturing (aka fracking) stimulates wells drilled into these formations, making profitable otherwise prohibitively expensive extraction. Within the past decade, the combination of hydraulic fracturing with horizontal drilling has opened up shale deposits across the country and brought large-scale natural gas drilling to new regions. The fracking process occurs after a well has been drilled and steel pipe (casing) has been inserted in the well bore. The casing is perforated within the target zones that contain oil or gas, so that when the fracturing fluid is injected into the well it flows through the perforations into the target zones. Eventually, the target formation will not be able to absorb the fluid as quickly as it is being injected. At this point, the pressure created causes the formation to crack or fracture. Once the fractures have been created, injection ceases and the fracturing fluids begin to flow back to the surface. 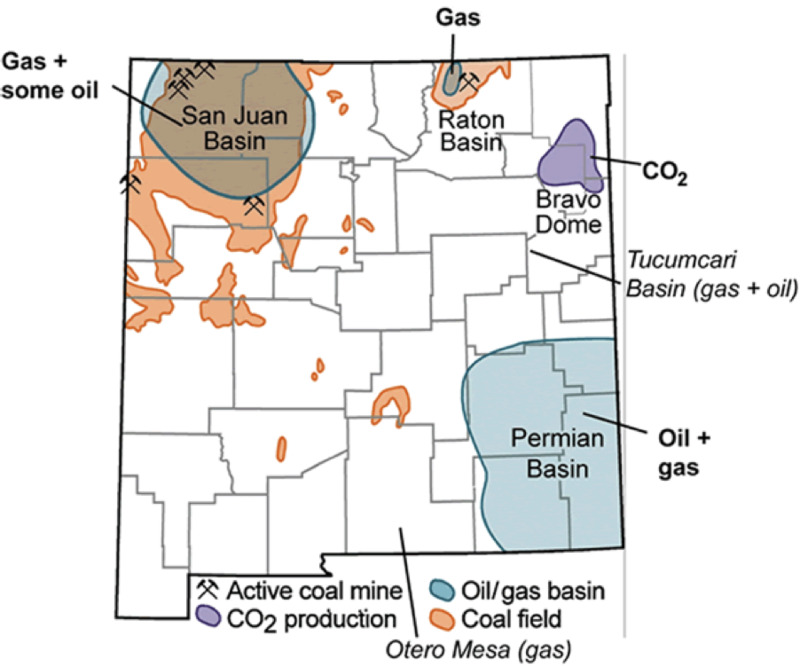 In South Eastern New Mexico there is part of the Barnett Shale formation. The majority of the Barnett Shale formation is in the Fort. Worth Basin. For more information on Energy Development topics, please visit our Energy Development page here. Deferral of Oil and Gas Lease near Cebolla, NM - The Bureau of Land Management Taos Field Office announced the deferral of 16 parcels encompassing 13,300 acres of public lands near Cebolla, New Mexico, from the October 2014 oil and gas lease sale, instead of opting to conduct additional analysis. The Western Environmental Law Center (WELC) and Amigos Bravos submitted extensive comments to the agency identifying serious detrimental impacts on the community’s drinking water, as well as to air quality and the climate if these public lands are fracked for oil and gas. The groups specifically noted the area’s critical role as headwaters to the Rio Grande, as well as the fact that the shale formation where the drilling would occur lies perilously above the groundwater aquifer.